We have crossed Rs.200,000. Keep up the support! With Rs.170K online and Rs.40K offline, we have raised over Rs.200,000 in donations! We need one last big push to reach our goal of Rs.300,000. It is amazing to receive support and love from organisations that care about the mountains. Thank you to P D Rai from the Integrated Mountain Initiative who donated Rs.20,000. A big thanks to Indiahikes for contributing Rs.30,000! And thank you Aditya J, Snehlata D, Amita K, Aruna J, Sanjeeb K and Anoop S, who are all family members and family-friends of our long-term volunteer, Chirag Mahajan. They have collectively donated Rs.50,000 towards the campaign. Thank you to Suresh K M, C D, Navam R, Sudip S, Suresh S, Aditya S, Shabnam S, Sharad S and all the anonymous donors! These donations will help us immeasurably! We still need your support! Please continue sharing this with your family and friends. Help us recycle more! 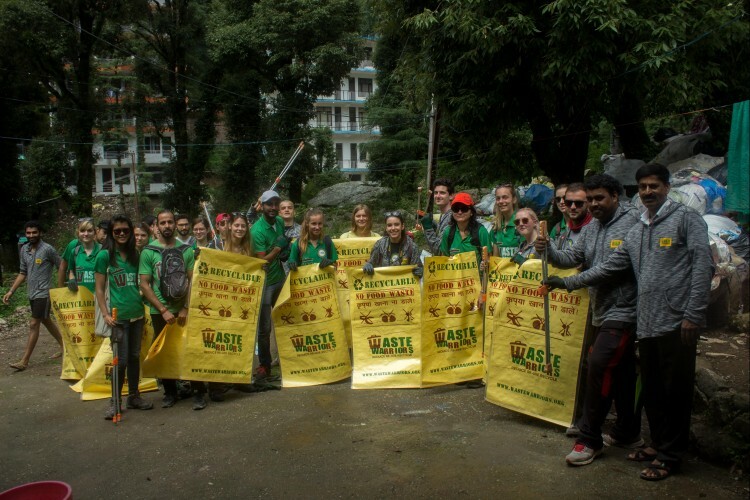 Thank you from the Waste Warriors Dharamsala team! Waste Warriors, a registered NGO urgently needs a waste sorting and storage facility for its project in Dharamsala. Earlier this year, Waste Warriors ran a crowdfunding campaign in a final bid to save our Dharamsala project from closure, due to a lack of funds. The overwhelming support we received, from people from across the country salvaged the project and then in March we received funding from the HT Parekh Foundation meaning the project was saved! Since 2012, we have been segregating and storing all our waste in front of our office out in the open or down at the waste container in the main square. With the amount of waste constantly rising and the fact that Dharamsala is the second wettest place in India, the segregating and storage of the collected waste is becoming an impossible task without a proper segregation and storage facility. Having a secure and undercover place would mean we could get a proper weighing machine too, making it easier to document all of the waste and recyclables we collect, further helping us create strategies to tackle the growing waste situation and save the fragile ecology of these foothills. We have collected and processed over 1300 tonnes of waste from Bhagsunag and Triund since August 2012. Our Green Workers keep the money from the sale of recyclables from the door to door collection and dustbins but this is not a big money spinner as some people think. Broken glass is just half a rupee per kg and overall the rates are much lower than in cities as the waste has to be transported long distances to the recycling factories. We don't recycle for the money, we recycle because it keeps waste out of the dumpsite and reduces the demand on earth's resources. Waste Warriors was registered in 2012 and has been doing awesome work ever since. We are a not-for-profit organization and a registered society committed to tackling India’s garbage problem. We do this through a combination of direct action, liaison and awareness raising, with an emphasis on civic pride and education. We have projects in Dharamsala, Dehradun and around the Corbett Tiger Reserve. We employ around 30 members of staff, the majority of those are Waste Workers from some of the poorest sectors of society. Please help us make a waste segregation and storage facility which will help us to segregate the waste efficiently and send more waste for recycling. Kabadiwala’s won’t buy waste unless its clean and dry so a lot of what we are collecting is simply going to waste (excuse the pun)! Your support will help us segregate and recycle more and continue to take care of the mountains. Please share this page with your friends, family and contacts so they too can support our cause. Our Projects in Dharamsala - Where does the waste come from? Our founder started the waste collection from Triund back in 2009 and the as the number of tourists increases, so does the garbage. We hike up to Triund every week, segregate the waste being generated by the tourists, guest houses and chai shops and bag it up ready to be bought down by the mules. Despite being visited by approximately 10,000 people each month, Triund has become known as one of the cleanest hiking destinations in the country. We run a door-to-door waste collection for businesses and households in Lower and Upper Bhagsunag and collect from over 200 places during the busy tourist season. Given that many of these places are inaccessible by road, our Green Workers have to carry waste for up to 2 kms. The terrain is steep meaning our workers have to be in prime physical shape to do their jobs. Providing a waste collection service has massively reduced the amount of burning and dumping in the forest and nullahs (streams). We receive monthly donations from the households and businesses but not enough to cover our costs let alone build a waste storage shed. This once sleepy village is now a mass of hotels, guesthouses and restaurants. During the main tourist season, Bhagsunag sees an average of 5000 tourists per day! Our workers maintain the cleanliness of the main square and taxi area, the main shopping hill and the two children’s playgrounds. We also clean the surrounding trails. We really believe in the importance of dustbins and have installed them all over Bhagsunag. People definitely use them so we empty them on a regular often daily basis. We also empty dustbins that have been installed by the Vyapar Mandal, so in total manage 42 dustbins. Every Thursday we host a clean-up at tourist hotspot, Bhagsu Waterfall. Not only is this place visited by thousands of tourists it is also used as a place for swimming and washing clothes by the locals. In addition to cleaning around the waterfall we also clean the trail that leads there from Bhagsu. We provide a waste collection service to the businesses in this area and have installed signage and dustbins there in order to mitigate littering. We conduct regular community clean-ups in our local area, including the surrounding forests and hiking trails. We choose an area to clean, recruit volunteers to help us, many of them are tourists passing through and others are from various organizations. We work hard to involve community members but it’s not easy due to the social stigma attached to waste. We ensure that waste is collected segregated so that we can recycle as much as possible. We truly understand the importance of educating the next generation about waste management so we run educational children's events and conduct activities with schools. Local school children get involved in our clean-up drives and awareness raising activities too. For all of you who know how important proper waste management is, want more of recycling to happen or have seen first hand how important our work is, please donate. Share this appeal on your social media, speak with family and friends and help us to raise enough funds to cover our expenses to build a waste storage and sorting facility. Thanks in advance for all your help. We are closing to 30% of our target. We still need your help! With a donation of Rs.35,000 done offline, we now have a raised a total of Rs. 81,100! We would like to thank the parents of our long-term volunteer, Chirag Mahajan, for their contribution of Rs. 45,000. We would also like to sincerely thank Sushil Ramola from the Integrated Mountain Initiative for his generous donation of Rs. 35,000. We really appreciate support from members of other organizations doing great work to keep our mountains and their ecology clean and safe from the harmful effects of tourism and urbanization. No contribution is too small. Please donate and share this campaign. Help us raise money to build our storage facility for waste segregation. Your donation will help us keep our recyclable dry and tidy. Your share could be as good as a donation for Waste Warriors! Not everyone can afford to take care of their loved ones. 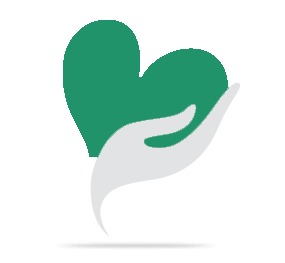 Waste Warriors's life can only be saved by donations made by kind people like you.